Flux Factory is proud to present Democratic Working Title for Now, an exhibition of new works by Flux artists-in-residence in conjunction with Long Island City’s Armory Arts Day. Self-curated by the Flux collective, participants create their own “studios” in which to exhibit their work. This is the first show featuring only in-house artists to be held at our new and wonderful building. An open artists collective, Flux is proud to present a variety of works, including painting, video, drawing, conceptual, and multi-media art. True to its name, Democratic Working Title for Now reflects the immediacy of Flux Factory as a constantly-changing group, with artists constantly coming in and out of its doors. Live performances throughout the day on Friday, March 4. 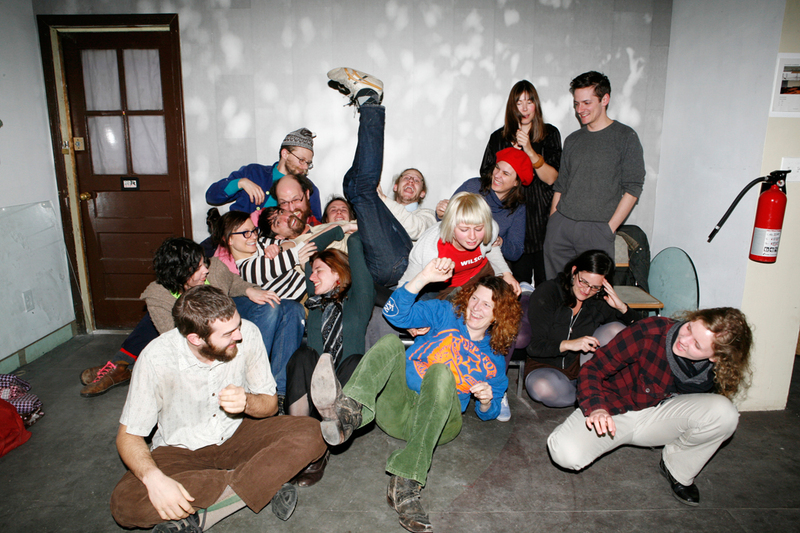 Participating Artists: Marion Arnaud, Man Bartlett, Johanna Bruckner, Cecilia Enberg, Hannah Heilmann, Shane Heinemeier, Wieteke Heldens, Jaime Iglehart, Anna Lundh, Shawna McLeod, Georgia Muenster, Nick Normal, Matthew-Robin Nye, Adrian Owen, Douglas Paulson, Christina Helena Romirer, Alison Ward, and Angela Washko.